Here we go, it's over. It was fun, I'll post in three separate posts my score and progress. 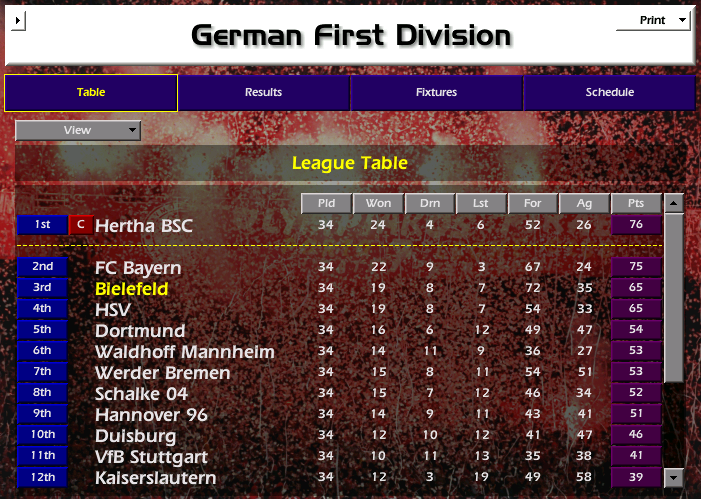 So next job I got was Bielefeld, midway through season 6 hunting promotion from division 2. 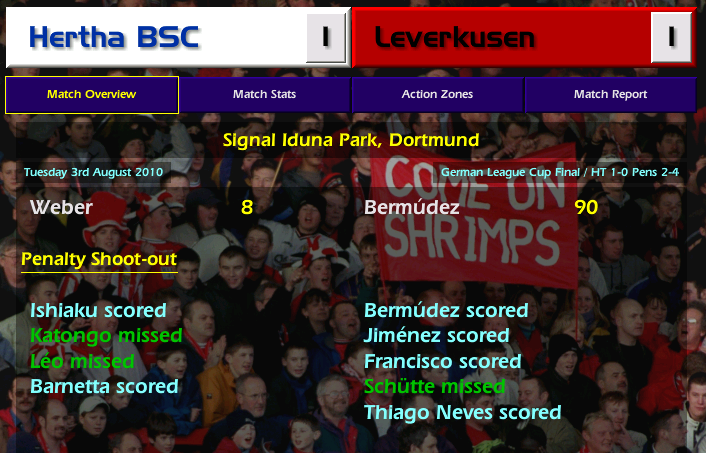 Didn't sign anyone, got promoted and was on my way. 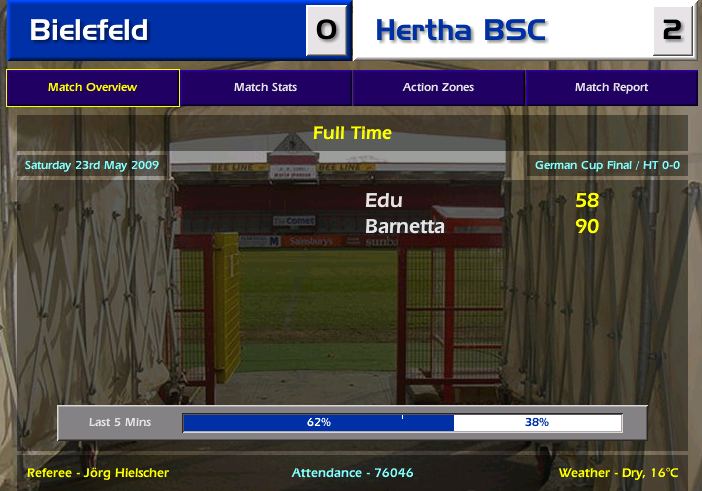 My first ever Cup Final! 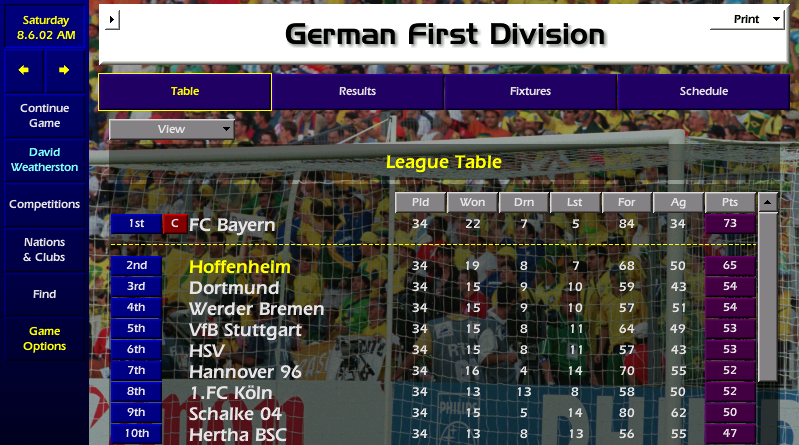 Struggling for 8 years, never even been top 4 I took over in October with the team in 16th. Season 10 - The Finale! So my non wib wob 343 that I used as some may know with Denmark in GFRays World Cup finally came good. 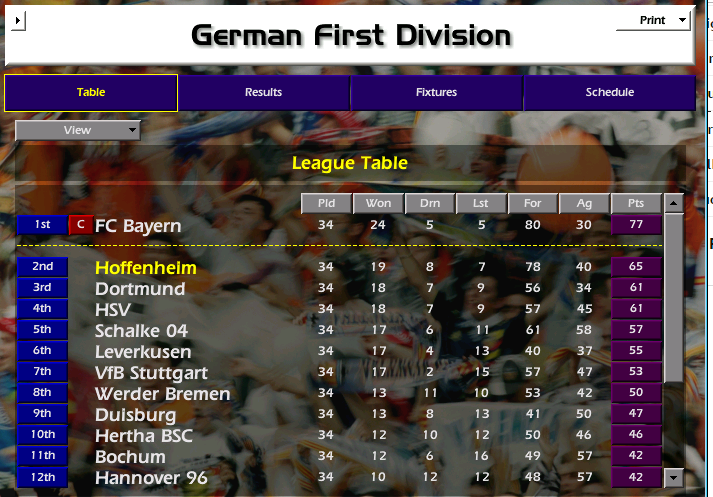 Really great challenge, never got any huge jobs, but happy with 3 titles. 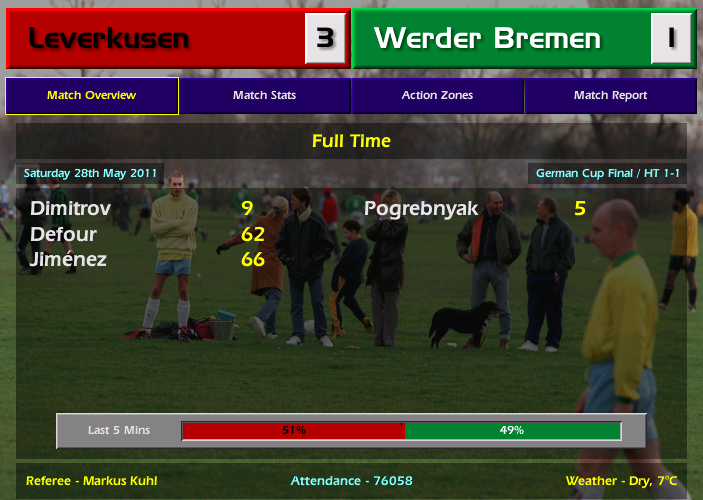 Turning round so Leverkusen so quickly a real surprise, but season 10 was my best season by far in every department.